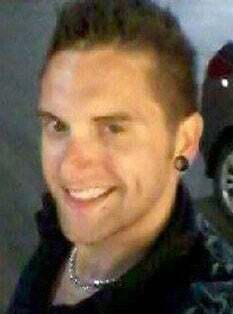 SARASOTA, Fla. – Joshua Lawrence Mesick, 35, passed away on Feb. 3, 2019 in Florida. Born on May 5, 1983 in Glens Falls, he was the son of Marty Mesick Sr. and his wife, Cheri Dardeen of Leesburg, Florida, and Wanda Sargent and her husband, Bob Sargent of Hartford. Joshua enjoyed sports, especially baseball. He loved the ocean and video games. Joshua also enjoyed anything thrilling and was always a jokester. Joshua also enjoyed cooking. He was predeceased by his grandparents, Joan Cannistrano, Robert Locke and Raymond Mesick. In addition to his parents, he is survived by his daughter, Brianna Marie Mesick of Queensbury; his brother, Marty Mesick Jr.; his grandmother, Sheila Sweet of Queensbury; and several aunts, uncles, nieces, nephews and cousins. He is also survived by his life partner, April Canfield; and a step-brother, Christopher Sargent. Calling hours will be from 5 to 7 p.m. on Monday, Feb. 18, at the Carleton Funeral Home, Inc., 68 Main St. in Hudson Falls. Following the prayer service, all are welcome to a reception at American Legion Post 574 on Pearl Street in Hudson Falls. Memorial donations may be sent to the Ronald McDonald House Charities, 139 S. Lake Ave., Albany, NY 12208.